There's something about crinkling tissue paper that makes it the perfect medium for leaves on these colorful Fall trees. Primary students always enjoy using those little fingers of theirs to crinkle paper, and what a great fine motor activity it is. To draw the trees we talked a lot about how our own bodies have a "trunk" just like a tree. 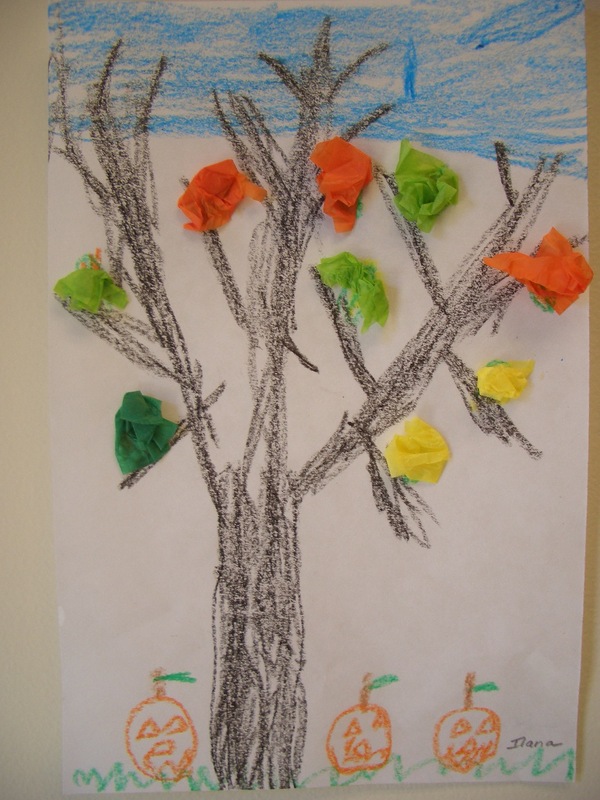 We stretched out our arms and fingers to reach for the sky as we waved them from side to side to create the movement of trees in the breeze. We learned too that trees have branches that are long, medium and short. 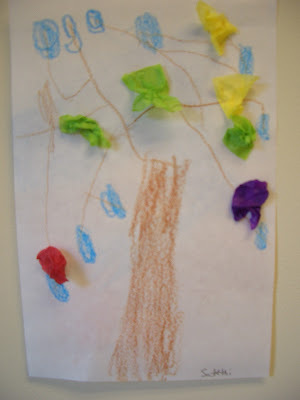 Once we began our drawings we made sure to add texture with our crayons and to put some "meat" on the lines we drew for branches to give them some form. 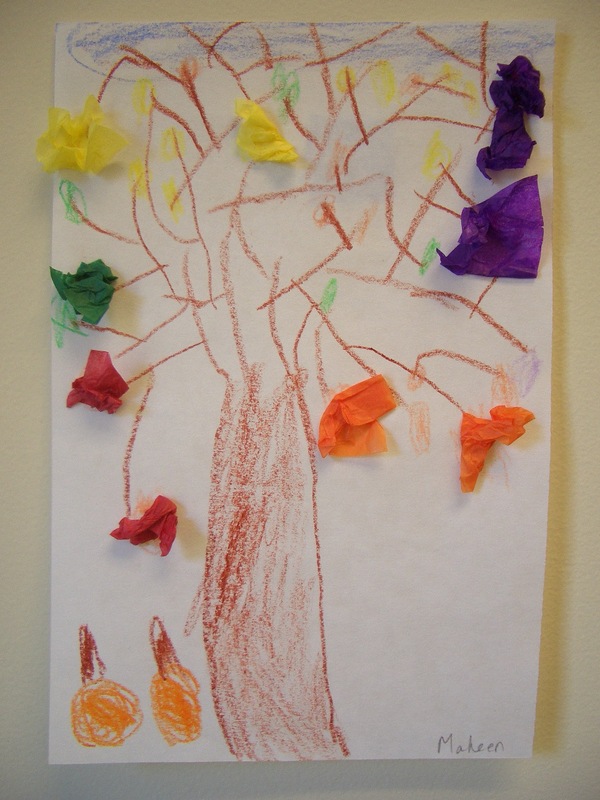 There's a lot to learn about color this time of year and the neutral tones we see in the trees were mentioned as well as the warm colors of the leaves. 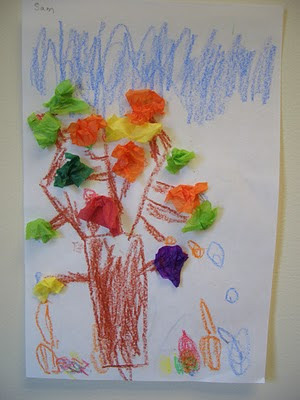 We learned a lot about drawing in this lesson and we felt confident about our ability to draw trees when we were done! 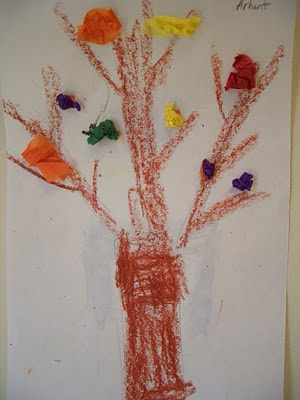 Labels: crayon, line, Primary tree drawings, texture, Tissue Paper.